Anna Bolton | Greene County News Yellow Springs’ Mills Lawn Elementary kindergartners participated in hands-on career day activities March 20 at Greene County Career Center. 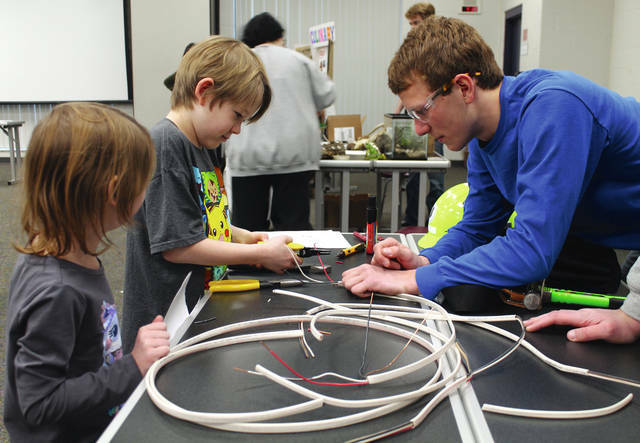 High school juniors and seniors introduced different career technical programs to the children, who happily played along. XENIA — Mills Lawn Elementary kindergartners took “What do you want to be when you grow up?” to a new level at the Greene County Career Center March 20. Career Center students from a selection of career technical programs worked with the Yellow Springs children in various hands-on activities throughout the morning. The kindergartners drilled screws and hammered nails and cut wire, listened through stethoscopes, ground black pepper, and manipulated images on a laptop. They tried on surgical masks and donned police hats and even cheered on a turtle race to end the day. Mikayla Masterson, a Bellbrook junior in the culinary arts program, asked the students what they liked to eat, or if they ever cooked with their parents. “A lot of kids have one idea of what they want to do. When I was a kid, I wanted to be an astronaut. But I didn’t know that I could be a chef,” Masterson said, dressed in her chef’s coat. Masterson said she hoped the activities helped spark interest in the students. “It gives them a great opportunity to learn what they can go into. Now they know they can come here and when they go to college, they’ll be a step ahead of other students,” she said. The junior said when she graduates she plans to go to Sinclair Community College to study culinary arts and bakery and pastry arts. https://www.fairborndailyherald.com/wp-content/uploads/sites/50/2018/03/web1_Computer-1.jpgAnna Bolton | Greene County News Yellow Springs’ Mills Lawn Elementary kindergartners participated in hands-on career day activities March 20 at Greene County Career Center. High school juniors and seniors introduced different career technical programs to the children, who happily played along. 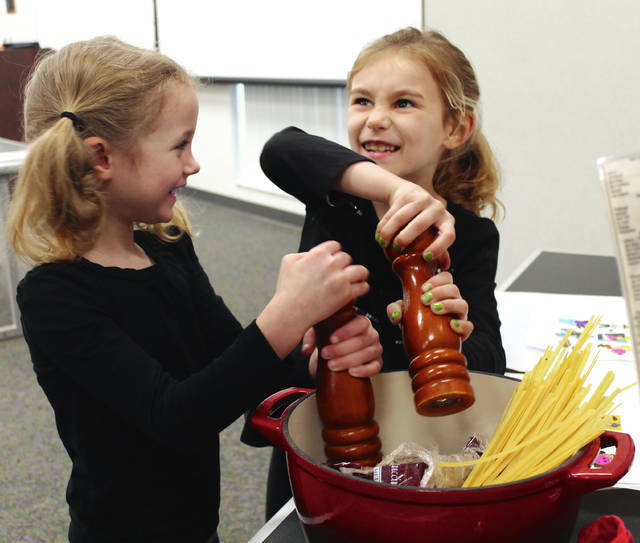 https://www.fairborndailyherald.com/wp-content/uploads/sites/50/2018/03/web1_Culinary-1.jpgAnna Bolton | Greene County News Yellow Springs’ Mills Lawn Elementary kindergartners participated in hands-on career day activities March 20 at Greene County Career Center. High school juniors and seniors introduced different career technical programs to the children, who happily played along. 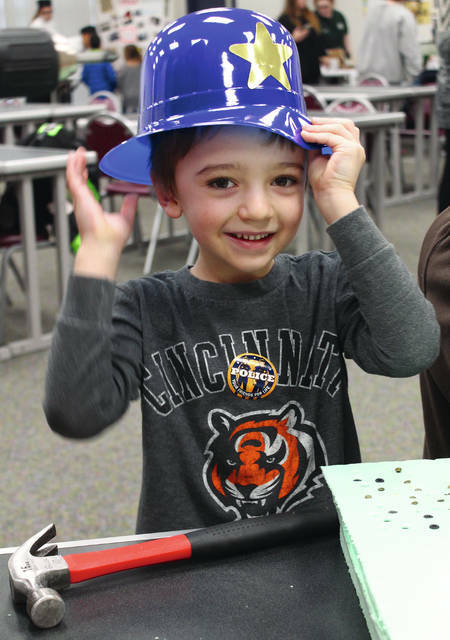 https://www.fairborndailyherald.com/wp-content/uploads/sites/50/2018/03/web1_Drill-1.jpgAnna Bolton | Greene County News Yellow Springs’ Mills Lawn Elementary kindergartners participated in hands-on career day activities March 20 at Greene County Career Center. High school juniors and seniors introduced different career technical programs to the children, who happily played along. 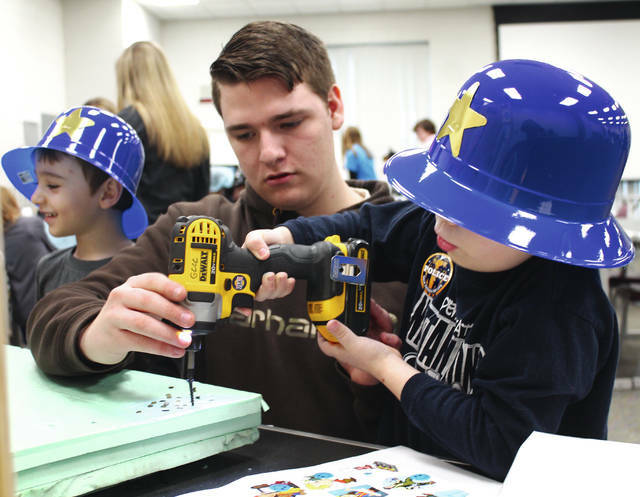 https://www.fairborndailyherald.com/wp-content/uploads/sites/50/2018/03/web1_Hammer-1.jpgAnna Bolton | Greene County News Yellow Springs’ Mills Lawn Elementary kindergartners participated in hands-on career day activities March 20 at Greene County Career Center. High school juniors and seniors introduced different career technical programs to the children, who happily played along. 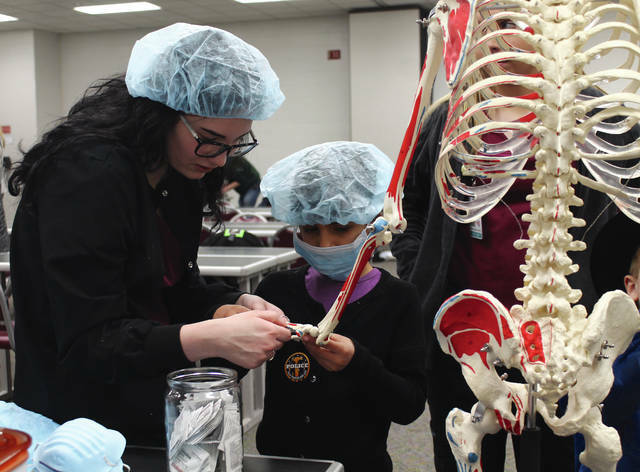 https://www.fairborndailyherald.com/wp-content/uploads/sites/50/2018/03/web1_Skeleton-1.jpgAnna Bolton | Greene County News Yellow Springs’ Mills Lawn Elementary kindergartners participated in hands-on career day activities March 20 at Greene County Career Center. High school juniors and seniors introduced different career technical programs to the children, who happily played along. https://www.fairborndailyherald.com/wp-content/uploads/sites/50/2018/03/web1_Wires-1.jpgAnna Bolton | Greene County News Yellow Springs’ Mills Lawn Elementary kindergartners participated in hands-on career day activities March 20 at Greene County Career Center. 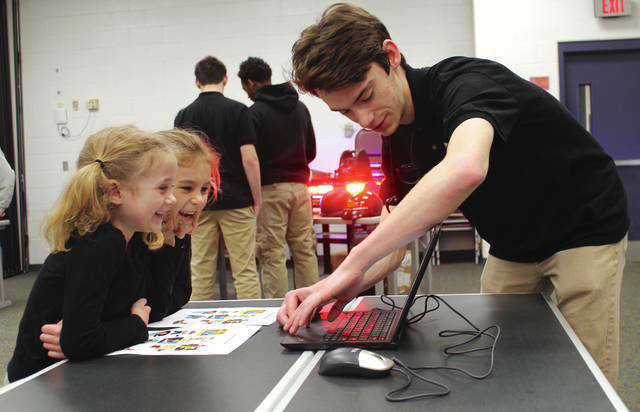 High school juniors and seniors introduced different career technical programs to the children, who happily played along.